Selling Period is from November 18 to 20, 2011 only. Travel Dates are from June 1 to September 30, 2012. 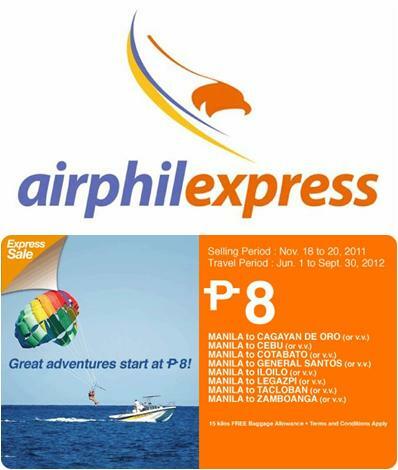 Manila to Cagayan De Oro, Cebu, Cotabato, General Santos, Iloilo, Legazpi, Tacloban and Zamboanga or vice versa for P8 only.